As a MANITRANSIT dealer for Belgium, we can offer the total MANITOU-Range. The new and also the second-hand models are sold, restored and maintained in our offices and workshop. The truck-mounted forklift is a tool that gives you a big head start on other load carriers: complete independence, flexible at all times, a much greater efficiency. In addition, unlike a crane, you also have a really fast loading and unloading aid at your disposal. And last but not least: YOU WIN TIME AND MONEY: You no longer have to wait until a forklift is released; You deliver right away and it doesn’t matter where (inside/outside, difficult terrain, narrow passages in remote areas…). 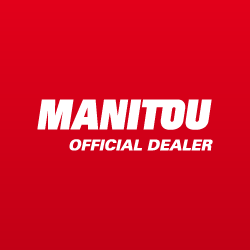 We are proud to be the exclusive distributor of the MANITOU ManiTransit. 3D-Lift is a young family business and is constantly implementing its 24-hour/7-day concept. The list of satisfied customer references is a reflection of this pursuit of perfect service when you need it. If you have a defective machine and you must be able to continue working. No problem, we can offer you a replacement, true to the 3D-Lift concept. 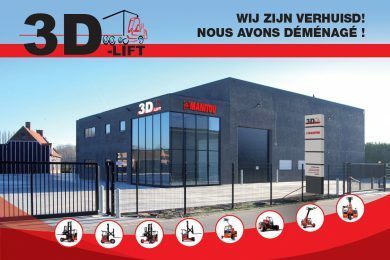 3D-Lift stands for Dimitri Dejonckheere-Dupont Lift systems. Your forklift is in good, specialized hands. You can count on us for all services.